6.7" x 5.6" stitched on 14 count. 5.2" x 4.3" stitched on 18 count. 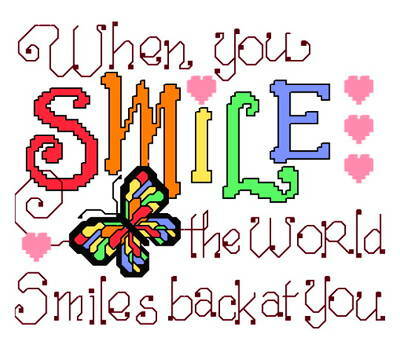 Smile at the World cross stitch pattern... Don't forget to smile,... it makes you and the people around you happier.